After my recent post on doing a 7 day, zero calorie fast, I’ve had a few people asking for a more in-depth look at some of the potential benefits associated with fasting. There has been a ton of research done on various aspects of this. There is a lot I couldn’t cover, because honestly I just had to stop somewhere. Like I intentionally left out covering something as obvious as weightloss, in favour of things that seem like surely they must be pseudoscience. Disclaimer: I’m not a medical professional, nor do I play one on YouTube. I don’t recommend you undertake fasting, especially if you’re sick, not an adult or you’re pregnant. This is simply me sharing some of my research into the subject. 1 What Do We Mean By “Fasting”? What Do We Mean By “Fasting”? Fasting, as used by the scientific literature, is going for 12 hours or more consuming only water or fewer than 200 calories per day, as opposed to “Calorie Restriction”, which is a 20-40% reduction in calories (see here). Going a day or more consuming virtually no calories. That means, you only take in water, milkless & sugarless teas, black coffee, and some electrolytes like Himalayan Salt, Magnesium etc. You then also have either Intermittent Fasting (IF) or Prolonged Fasting (PF). PF goes for 3 days or longer. You don’t do that very often, maybe a couple of times a year tops, if they’re a week or more. IF lasts a day or two and is meant to be done even weekly. Fasting seems to be an evolutionary mechanism that helps organisms all the way from E. Coli (lived 4 times longer) to humans to survive and thrive in the feast and famine conditions of the ancient world. This peer reviewed article has a great summary of how our bodies create and burn energy during fasting. Of particular note is the explanation of how humans can survive fasting 30 days or longer. And some animals, like King Penguins, can survive over 5 months without food! Some people fast for religious reasons (Islam’s Ramadan being a well known example), but that’s not really my thing. One of my primary goals is a long, healthy life. Everything I’ve seen in the scientific literature points to regular fasting being one of the best ways of achieving that (after obvious things like clean drinking water, warm shelter, nutritious food etc). Since I don’t find fasting particularly onerous, it’s a no-brainer for me. On IF, I don’t feel light-headed, fatigued or cranky. Like most things I do, I’m flexible with it, so if I’m fasting and someone invites us to dinner, I’ll usually eat and start another fast another time. I enjoy eating, as anyone who knows me will attest. I just reckon this way I get the best of both worlds. With that said, here are some of the fasting benefits my research has turned up. Be sure to follow the links if you want to read the actual papers. In this section, they showed how fasting increased insulin sensitivity and the stress resistance of cells. Being more sensitive to insulin decreases fat storage and helps protect against things like diabetes and metabolic syndrome. Resting blood pressure and heart rate were decreased, as well as an increase in heart rate variability (usually seen as a sign of better heart health). Other than when fasting was first started in very old mice, regular fasting increased life expectancy by as much as 30%. So if your life expectancy was 80 years, a 30% increase means living to 104! Speaking of Metabolic Syndrome, as described here, IF was able to prevent and reverse all aspects of the disease in rodents. Summarising part of this article, fasting resulted in a decrease in size of most organs, except the brain and testicles. In fact, fasting caused an increase in BDNF, which increases focus and activity. Essentially, when your brain realises there’s no food coming in, it switches to a mode best suited to finding food. Our ancient ancestors would have to be better hunters when they were hungry than when they were fed, else we wouldn’t have survived. IF also resulted in better results in physical performance tests as well as learning and memory tests in rats. This was because of increased brain plasticity (usually associated with children’s learning) and increased production of neural stem cells. This 2011 article demonstrated an improvement of coordination and cognitive function in older rats on an IF regimen. This one from 2007 showed an improvement in learning ability in mice. This 2016 study showed the method by which fasting improved neural plasticity. And this 2002 study in the Journal of Neurochemistry demonstrated that the rate of creation of new neurons could be directly modified by calorie restriction. 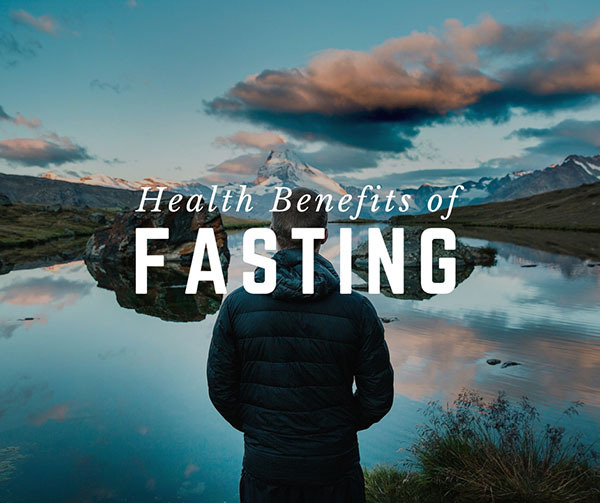 Fasting has been shown to reduce brain degeneration and slow the progression of diseases affecting the brain, such as Alzhimer’s, Parkinsons & Huntington’s Diseases. It did this reducing the damage caused by things like inflammation, boosting the levels of antioxidant defences, and improving the brain’s ability to heal through producing new neurons. However, if I’m reading it right, fasting seems to speed up the progression of ALS. In a 2012 study, it was found that fasting protected normal cells in mice from the harmful side effects of a range of chemotherapy drugs. The same study found that regular fasting dramatically increased the effectiveness of chemo drugs. It found that fasting protected normal cells by switching energy from maintenance to growth, but found that the same switch didn’t happen in cancer cells – they still got stressed by starvation. So the cancer cells became more sensitive to the chemo drugs, while the normal cells received increased protection from those drugs. It was found to increase the cancer-free survival of mice with metastatic tumors (breast cancer, melanoma and neuroblastoma lines, specifically). It concluded that regular fasting could potentially replace or significantly augment certain chemotherapy drugs for a wide range of tumors. They emphasised in the discussion that the effects went across cancer lines, which is something most drugs do not. This 2015 study showed that cycles of PF reduced the damage to bone marrow caused by chemo drugs. This 2011 study seems to suggest that, while the 20-40% calorie reduction usually recommended for cancer patients was effective and well studied, PF achieved the same benefits in only 5 days (as opposed to taking several months) and didn’t cause long-term muscle wasting. This clinical trial found that 3 day fasts protected human patients from the toxic effects of chemo drugs. A 1999 study found that regular fasting in rats decreased their incidence of diabetes by almost 30% fasting reduces diabetes. These were in rats specifically bred to mimic the human response to diabetes. This 2010 study found that fasting dramatically increased a natural process called “autophagy” in the brains of mice. Autophagy literally means “self eating” and is the body’s way of recycling old or dead cells. A 2014 study on mice and humans suggested that cycles of 2-4 day fasts shifted the stem cells of the immune system from dormant to active. At the same time, it cleared out old, damaged cells. During fasting, they noticed that the white blood cell count (both in humans and animals) went down during PF, but then bounced right back after eating again. Most importantly, they found that to get this effect, you have to fully deplete your glycogen reserves, which takes between 24-48 hours. This 2001 study took 174 patients with high blood pressure through a single, medially supervised, 10-11 day water-only fast (with some healthy eating for a few days either side). Nearly 90% of them got their blood pressure back under 140/90. 11 of the patients were taking antihypertensive medication at the start, and all of them were allowed to stop the medication after the fast was done. Now 140/90 is still high, so this study the following year did another fast with patients about the level that the previous had reached and got 82% into the “safe” zone for strokes. In this 2005 study, regular IF was found to protect rats’ hearts from ischemic injury (problems with blood supply) and recovery from a heart attack. Given relative energy expenditure etc, 24 hours for a rat is seen to be similar to one week for humans. A 2015 report in Cell Metabolism provides a good summary of the “known” positive effects of prolonged fasting. The report centres on whether the researchers could achieve positive effects by a diet that mimics fasting. Their reasoning was “prolonged water-only fasting is difficult for the great majority of the population”, which I can completely understand. That restriction was found to have a positive effect. My main takeaway from that report is that we just don’t need as much food as we’re getting. This study’s preliminary results suggested that PF could positively affect the body similar to hard exercise, by way of suppressing the inflammatory response.